WOONSOCKET, R.I. — CVS Health is dedicated to helping people on the path to better health, says vice president of store brands and quality assurance Cia Tucci. “Millions of people rely on CVS Health brand of O-T-C products every day. As a pharmacy innovation company, being bold is part of our DNA in store brands. We are relentlessly focused on providing customers with high-quality, innovative products that meet our customers’ unique needs and help them live their lives to the fullest,” says Tucci. 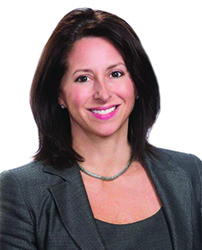 For her work on the rebranding of CVS Health, the company’s flagship line of over-the-counter products, and for her contributions to the retailer’s general excellence in store brands, Tucci has been named by MMR as one of its Six Executives Who Made a Difference in 2017. Before the rebranding, CVS Pharmacy had already done extensive consumer research and discovered the enterprise name CVS Health resonated strongly with customers because it underscores the company’s commitment to quality and health. The rebranded and repackaged line has quickly garnered positive feedback from customers. Currently, CVS Health is the No. 1 brand sold at CVS Pharmacy, with sales more than two times higher than the next closest brand; it is the No. 1 brand in the health care business and No. 1 in all the retailer’s core health care categories, Tucci points out. This includes being on the forefront of such trends as the fast-growing K-Beauty business, as well as removing ingredients or chemicals customers do not want in their products. In April, CVS committed to removing, by the end of 2019, parabens, phthalates and the most prevalent formaldehyde donors (ingredients that combine to make formaldehyde) from over 600 beauty and personal care store brand products. “This is an exciting step forward for our brand and for our customers who helped shape this new positioning for us,” Tucci says. The retailer is featuring new, unexpected products in store brand lines such as cold/cough products that are free of artificial dyes and preservatives; products that can only be found in medical and hospital settings such as the Advanced Wound Care line; and “boutique” name brands on shelves that could previously only be found in specialty stores. Combining these unexpected finds with products more typical to a drug store gives CVS customers the unique array of products and choice they want and deserve. Many consumers today want products with simplified ingredients as part of their personal health and wellness goals, and CVS Pharmacy wants to offer access to products that reflect that. Promise Organic is formulated with 100% naturally derived ingredients that replenish and nourish skin and are suitable for babies, children and adults, while Gold Emblem Abound features snacks and grocery items free from artificial preservatives and flavors, with zero grams of trans-fat. Another example is the new flavors and ingredients in the Gold Emblem Abound line, including habanero white cheddar quinoa chia chips, sweet sriracha chickpeas and fruit & chia bars, which combine popular flavor profiles with on-trend ingredients. Exclusive store brand beauty offerings are expanding to meet existing trends and the wide variety of customers’ needs. Beauty and personal care essentials from Beauty360 are making it easier than ever to get head-to-toe professional results at home. Skin+Pharmacy, a dermatologist-tested skin care line clinically proven to treat specific skin concerns such as acne and the signs of aging, launched two new serums this summer. Makeup Academy, developed by makeup professionals and launched in 2014, continues to be one of the best-selling exclusive brands at CVS Pharmacy, offering lashes, lips and makeup brushes. Just this summer the retailer expanded Makeup Academy into the face category and launched on-trend color correcting, illuminating, mattifying and contouring items. “These exclusive lines help ensure our relevancy with her in how she thinks about her beauty needs,” Tucci says.